Think of Albania and you probably think tower blocks and communist dictatorship; that is if you can conjure up any ideas about this historically-isolated country at all. Albania may have been politically allied to Russia for decades but the reality today is that it has much more in common with its southern European neighbours, namely Greece and Italy. Albania's dramatic landscapes, great food and friendly people make it a great holiday destination for the more intrepid traveller. 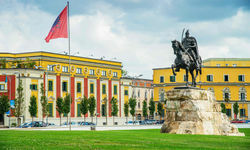 There are direct flights from London to the capital, Tirana, that take only three hours and once there a host of varied holiday attractions awaits. To the north, alpine lakes, dramatic valleys and mountain villages, to the south beautiful, perfectly-preserved hill towns and ancient Roman sites. It's true that Albania also has a fantastic climate and a long, Mediterranean coastline but its beachside resorts have been massively overdeveloped for cheap package tourism so are best avoided. The good news though, for those wanting to combine a cultural visit to Albania with some time to chill on the beach, is that the Greek island of Corfu is a mere 5 miles from the Albanian coast with several ferry services a day linking the two. 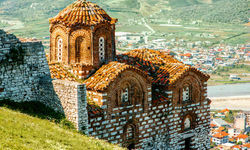 The country's major highlights are its three UNESCO World Heritage sites, all located in southern Albania. Both Berat and Gjirokastra are living museums to another age, their cobbled streets climbing up steep hillsides and creating a maze of Ottoman houses leading to imposing castles. 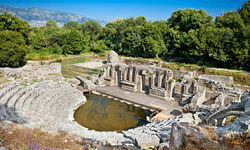 Butrint, to the far south and accessible from Corfu for a day-trip, is a beautifully-preserved gem of the Roman Empire complete with basilica, churches, catacombs and stunning mosaics. 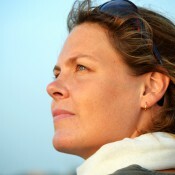 For the more adventurous traveller a visit to the north is a must. This is Europe at its most undiscovered, where villages are cut off by snow for months at a time and visitors are accommodated in local homes. The village of Theth will feel like a new discovery while at the same time being mind-blowingly old and the views over Lake Koman have to be seen to be believed. Since the death, in 1985, of hardline (he thought Russia went soft post-Stalin) communist leader Enver Hoxha, Albanians have embraced their new-found freedom wholeheartedly. Tirana's concrete high-rises have been splurged with a rainbow of grey-defying colour to liven up the skyline and the city's Blloku district, once home to party apparatchiks, now pulses with bars and cafes after dark. One of the most pleasant surprises is the food. Albania's own cuisine is very similar to that of Greece so expect plenty of fresh vegetable dishes and hearty servings of roasted meat. Many restaurants also serve Italian food to a consistently high standard so any pizza and pasta cravings are easily fulfilled. 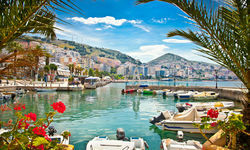 Don't expect to pick up much of the language while on an Albania holiday, which is descended from ancient Illyrian and on a par with Basque for its lack of link to any other in Europe. If you get as far as remembering how to say hello (Tungjatjeta) you'll be doing well. 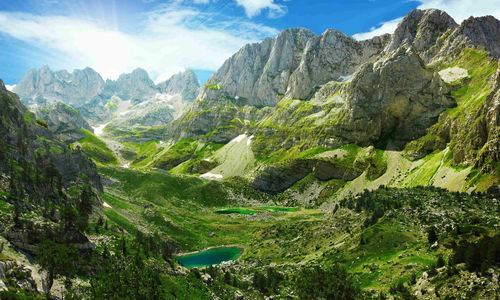 Happily, although international visitors are still a relatively new phenomenon, Albanians working in the tourist sector have at least a smattering of English and are extremely friendly. 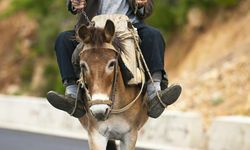 Getting around Albania requires a car since trains are slow and extremely poorly-maintained and public transport is limited to the rather gritty experience of the over-stuffed public minibus or furgon. Though the mountainous nature of the landscape means roads tend to be winding and narrow they are also in relatively good nick so you should survive most journeys without feeling too shaken up. In short, go on an Albania holiday now and be one of the first to experience one of Europe's last-remaining secrets. My highlight: Joining in with the nightly Italian-style passeggiata, a properly observed event starting at 7.30pm and lasting around two hours. Everyone dresses up and the young in particular enjoy parading up and down, hoping to bump into someone they fancy, while the middle aged sit on benches and chat. Albania is cheap, cheap, cheap!